Check into one of the hotels spacious family suites or interconnecting rooms where extra camp beds and cots can be provided. Zen Fitness the hotels’ leisure club has an amazing swimming pool which is a huge hit with families and they also have a baby pool for your little ones first swim Zen Beauty will have you pampered and relaxed with a wide range of affordable treatments. 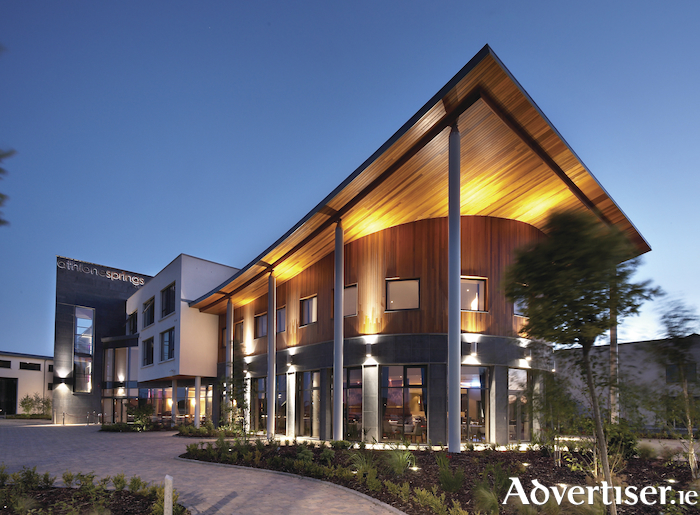 Dining in the Athlone Springs Hotel is a relaxed affair with superb food from both the Cedar Bar and Cedar Restaurant. Offering excellent service from friendly local staff and locally sourced menu, the award-winning chefs like to follow nature’s lead producing food that is in-keeping with the season. The chef also specialises in healthy options for children within the kiddies club. The koala kiddies club is available throughout your stay and is jam-packed with games and activities for the hotels little VIP guests. To be in with a chance to win a Family Break in Athlone Springs Hotel, with two nights B&B, one dinner, kids camp and entry into Glendeer pet farm for two adults & two kids, simply answer the question in the form below. Closing date for entry is Friday 30th of March 2018. Athlone itself is a fantastic family destination with activities such as Glendeer Pet Farm, Bay Sports Waterpark, The Viking Boat Trip, Derryglad Fold Museum to name just a few. So Make family memories this Summer and stay at the Athlone Springs Hote. Visit www.athlonespringshotel.com for more. 1. The prize is for a Family Break in Athlone Springs Hotel, with two nights B&B, one dinner, kids camp and entry to Glendeer pet farm for two adults & two kids.